The multidisciplinary Head and Neck Cancer Team has been established at Derriford since 1992. As of 2000 a multidisciplinary team meeting (MDM) with histological and radiological input has been held immediately prior to the start of the MDT clinic (MDC) on a Thursday morning at 08.15. Since 1998 weekly joint videoconferencing has occurred with RCHT clinicians in Truro to jointly discuss West Cornwall patients. Regular biannual administrative meetings were built into the clinic timetable. These have allowed the opportunity for discussion of clinical policies and presentation of audits by team members. Mortality & Morbidity meetings are held on the third Thursday of the month. A dedicated Head and Neck Lumps Clinic with immediate consultant led clinical examination and reporting of ultrasound and cytological findings has been running since 2005 on a weekly basis. This clinic was primarily devised for the rapid assessment of 2 week wait neck lump referrals however accepts urgent referrals for suspected Head and Neck cancers from clinicians within the Trust. 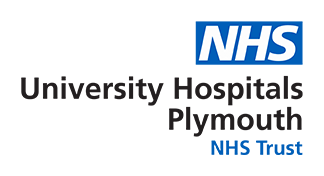 Since the publication of the “Improving Outcomes in Head and Neck Cancer” manual issued by the National Institute for Clinical Excellence in 2004, we have worked towards the establishment of a joint Head and Neck Cancer Team in the West of the Peninsula with Royal Cornwall NHS Trust (RCHT), Truro. A team of healthcare professionals, which includes the Head & Neck Clinical Nurse Specialist (CNS) Dietician, Speech and Language therapists and Physiotherapy are an integral part of patient care. Specialist palliative care services are involved as necessary. The Head and Neck team have regular contact with the following on-site MDT teams and facilities – thyroid MDT, skin MDT, Cardiothoracic MDT and Neurosurgery including stereotactic RT facilities. The clinicians are well supported by a dedicated Head and Neck Ward (Lynher ward) involving all three specialties that deal with Head and Neck UAT Cancer.